The Beigua district - the largest nature protected area in Liguria - preserves the geological history of the region, jealously portrayed through rocky outcrops, mineralizations, fossil deposits, spectacular forms modelled ceaselessly due to the effects of exogenous agents. Due to the exceptional geological heritage present in the Beigua district, in March 2005 a special international commission of experts positively assessed the dossier presented by the Beigua Park Authorities, thus awarding the territory the status of European and Global Geopark under the aegis of UNESCO. In November 2015, the same area has been recognized as UNESCO site and included in the prestigious list of the UNESCO Global Geoparks. The Beigua Geopark includes the entire surface classified as the "Beigua Regional Nature Park" in addition to a vast portion of territory functionally linked with the park itself. 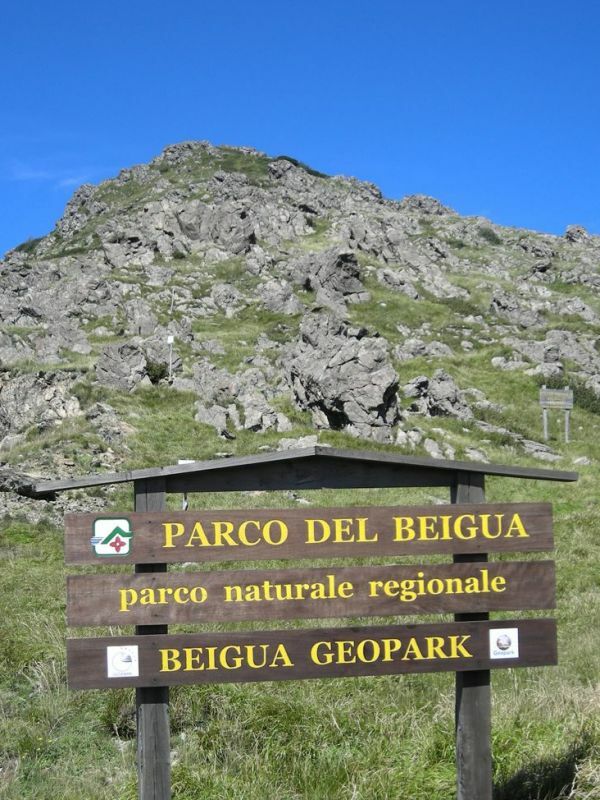 Indeed, the Beigua Geopark represents a district made up of ten municipal territories (nine of which in their entire surface) involving two different provinces (Genoa and Savona). As a whole, the territory of the Beigua Geopark expands over 39,230 hectares, touching on the municipalities of Arenzano, Campo Ligure, Cogoleto, Genoa, Masone, Rossiglione, Sassello, Stella, Tiglieto, and Varazze. Beigua Geopark is from a scientific, aesthetic and educational point of view one of the most interesting areas in Liguria and is extremely important with regard to reconstructing the geological history of Italy and to understanding the evolution of the Alpine Mountain chain and its relationship with the Apennines Mountains. The Geopark is a natural laboratory in which it is possible to interpret, from field data, the varying dynamics of the evolutionary phases in the development of the territory between Genoa and Savona. The initiatives to conserve the geological heritage of the Beigua Geopark are included under the wider and complex strategy to safeguard the natural and historical/cultural heritage presented by the territory, pursued via planning and management measures aimed at achieving active protection of environmental resources, together with suitable and compatible socio-economical development, which obviously include activities linked to the conservation of its "geodiversity" and "geotourism".